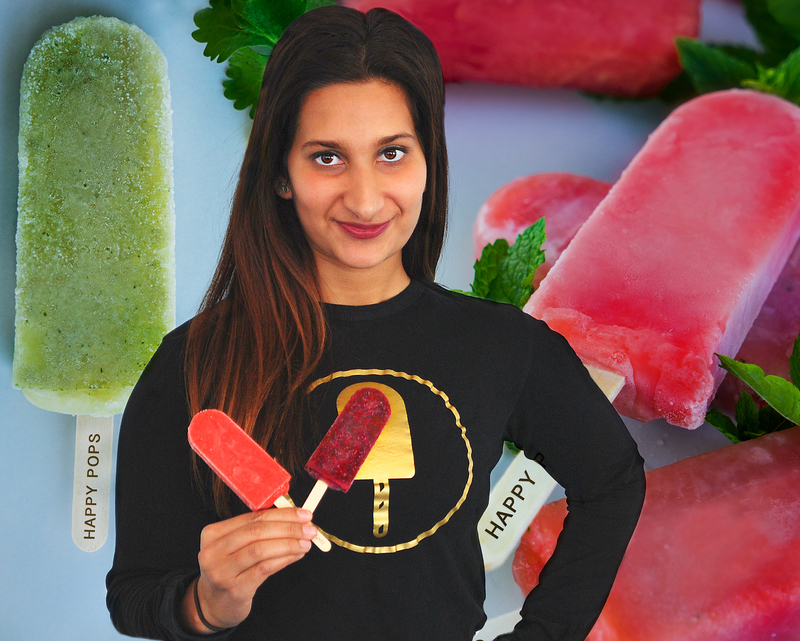 How does a kinesiology graduate go from considering going to med school to making a 180 and launching a growing popsicle business? For Leila Keshavjee, 25, this career change was born out of her knowledge of the food industry (her family’s long been in the business) and her own healthy lifestyle and background in kinesiology. Initially keen to launch a line of protein popsicles (because she found making protein smoothies quite labour-intensive), she quickly realized she could go to market with something with wider appeal. Drawing from her experiences at food industry trade shows, she knew that was was healthy on the market “tasted like sawdust. They cram so much protein into bars and they’re not tasty. You struggle to get through it all. And I wanted my product to be healthy meets tasty,” she says. What emerged from this market research is Happy Pops, which she launched in 2016. These are not the artificially flavoured, sugar-loaded popsicles you grew up with. Happy Pops are made with clean ingredients, they can be enjoyed by both adults and kids, and they can be a guilt-free snack at 3 p.m. or an everyday dessert. Check out the ingredients and you’ll see that it’s made of things we can all find in our own kitchens (that is to say, no hard to pronounce mysterious chemicals) and many have no sugar added (and if it is, it’s organic cane sugar and it’s kept as low as possible). In less than two years, Keshavjee's gained a ton of business insight and the company’s already hit several significant milestones. 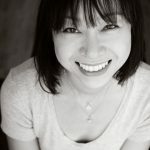 She used her University of Toronto credit upon graduation to take a course on social media to learn how to leverage Instagram effectively to grow brand awareness. She worked with the Impact Centre and participated in the Techno entrepreneurship training program (she found great value in having a mentor and having people to bounce things off of when questions arose). She’s watched the Happy Pops orders get bigger and bigger, from the first 500-piece order, now they’re at upwards of 2,000-piece orders. The popular Banksy exhibit this summer? Happy Pops were available there. Plus they’re now stocking the freezers of several corporate offices while also selling online (“It goes against how people think frozen popsicles should be sold,” she says of their direct to consumer model). And while all of these have been significant in growing the business, going on Dragon’s Den in the spring and getting $150,000 investment from Arlene Dickinson and then also getting into Dickinson’s consumer packaged goods accelerator have to take the cake. “I was really nervous, I had less than 72 hours to prepare for Dragon’s Den,” she reveals. “We were on the standby list and I was called Friday evening and had to be ready for 7:45 a.m Monday. I didn’t even have an example of the new packaging ready! But you can’t say, ‘Sorry, can’t make it.’” She says there was a 50/50 chance it’d go well or badly and she knew she had to take that risk.